The Best in Stand Up tickets at Manchester Comedy Store, Manchester. 2019. 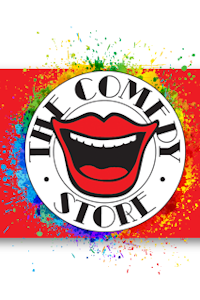 Find the best The Best in Stand Up comedy tickets at Manchester Comedy Store, Manchester. The finest Comedy Club in the land delivers five world class comedians. You will laugh out loud for over two hours. Avoid tears on arrival by booking in advance for these sell out shows. Saturday, 23rd March 2019 to Saturday, 16th November 2019. The Best in Stand Up tickets: The tabs above allow you to select between links to suppliers and date searching. Click on a supplier's logo to see their details and on the 'buy now' button to see and check the tickets on offer.